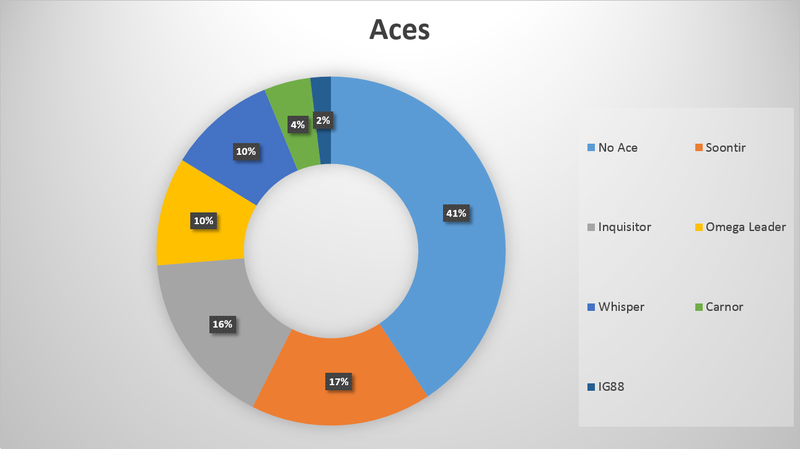 We’re back with a special edition of F->A->H->S, analyzing just the data from the Games and Stuff regional championship in Glen Burnie, Maryland. 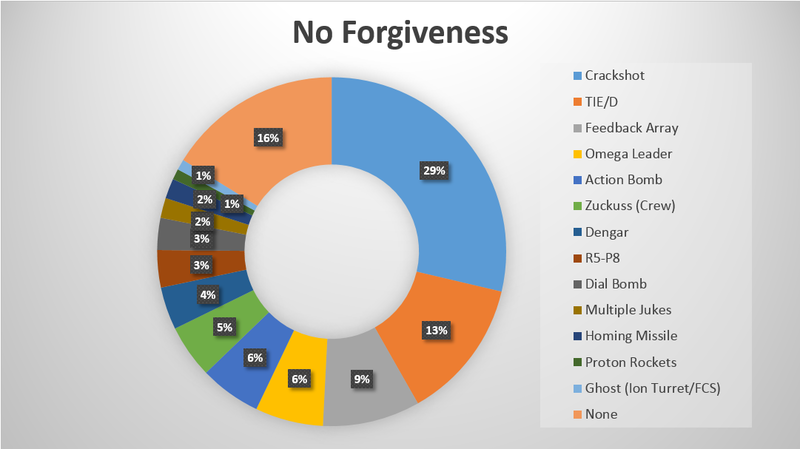 As always, this isn’t an analysis of what you should play. 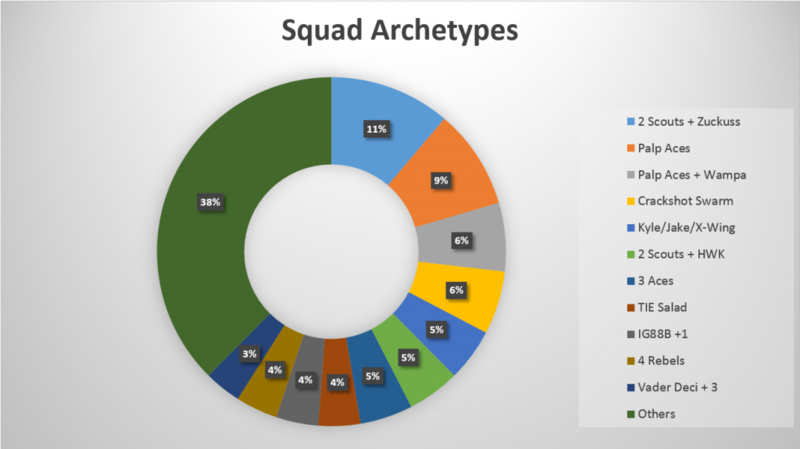 This is a look at what you should plan to deal with — not merely what squads are being played, but the squads that are winning matches. More details can be found on List Juggler. 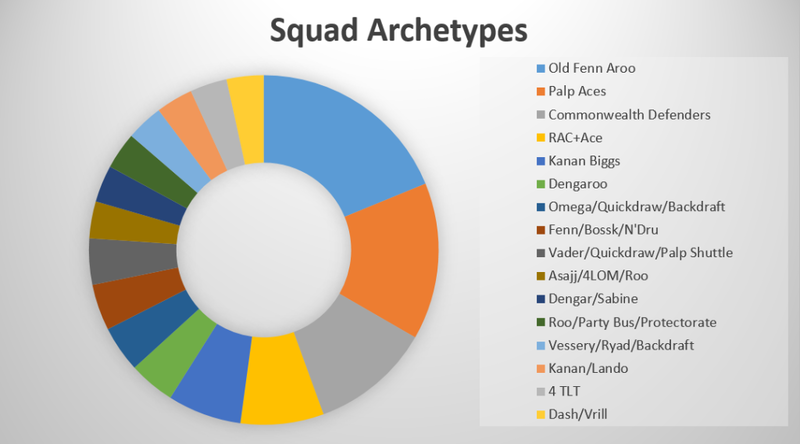 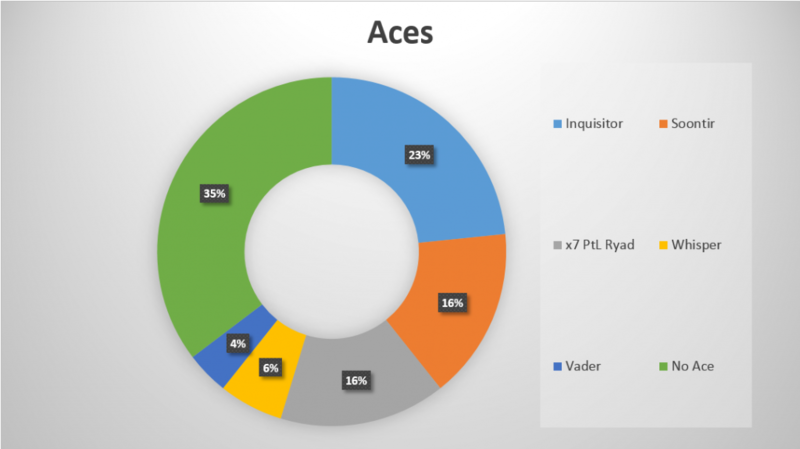 Despite it seeming like Palp Aces were on every table, there were actually 18 different squad archetypes among the 31 players with 4-2 or better records. 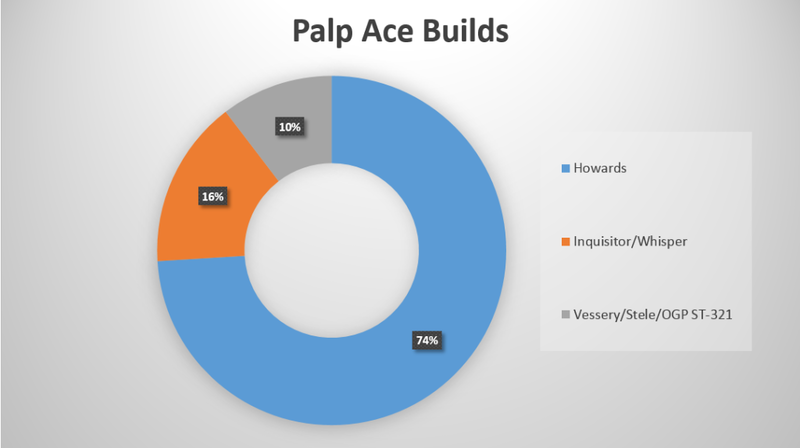 And, while Palp Aces are certainly the most popular, there were quite a few varities. 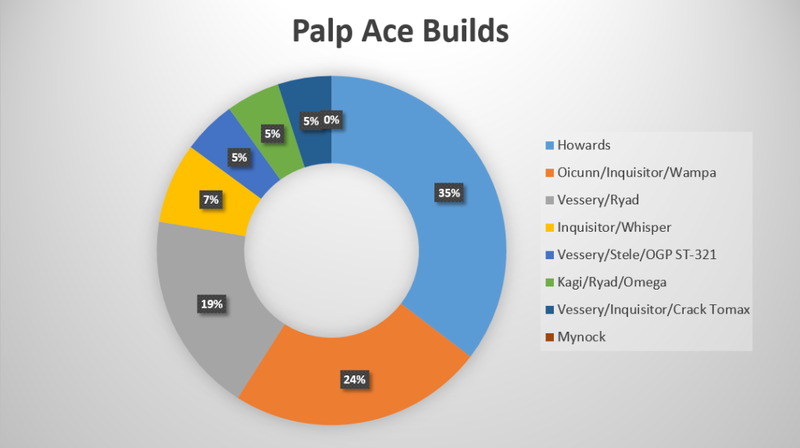 The “Palp Aces” category here includes the Howards Special (OGP+Sensor Jammer, Soontir, Inquisitor), Mynock Special (Yorr, Whisper, Omega), and Soontir+Carnor. 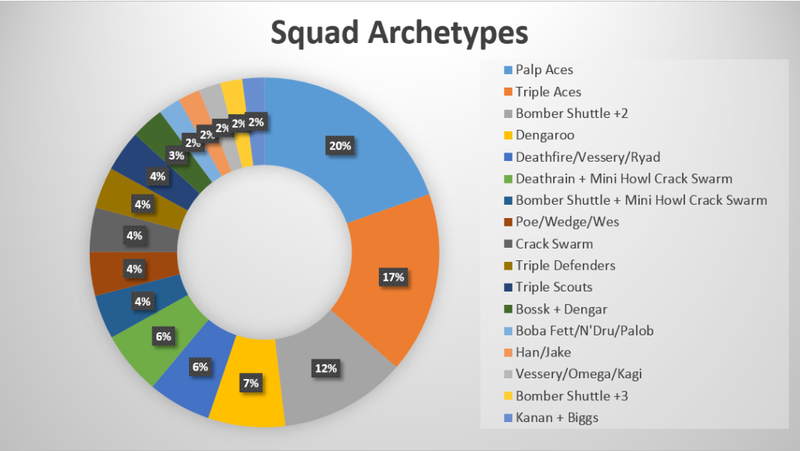 And just to give a better idea of how Palp Aces isn’t the only thing you need to worry about, more than 40% of all squads didn’t feature an ace. 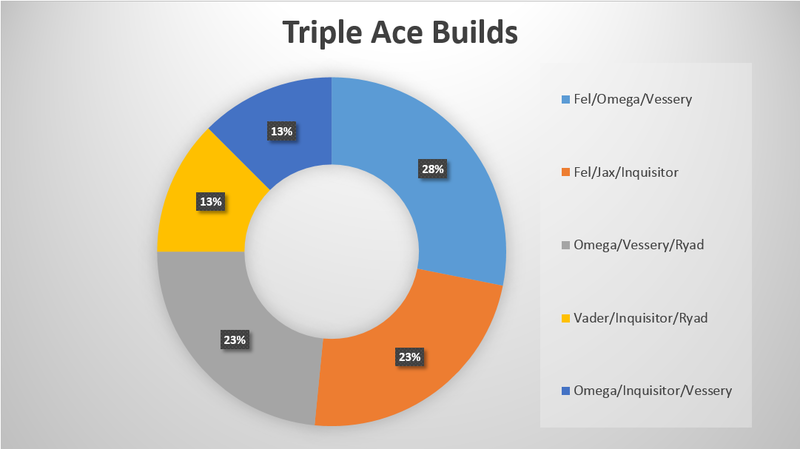 You certainly need to plan for it, but building just to counter Palp Aces will leave you exposed to a large part of the meta. 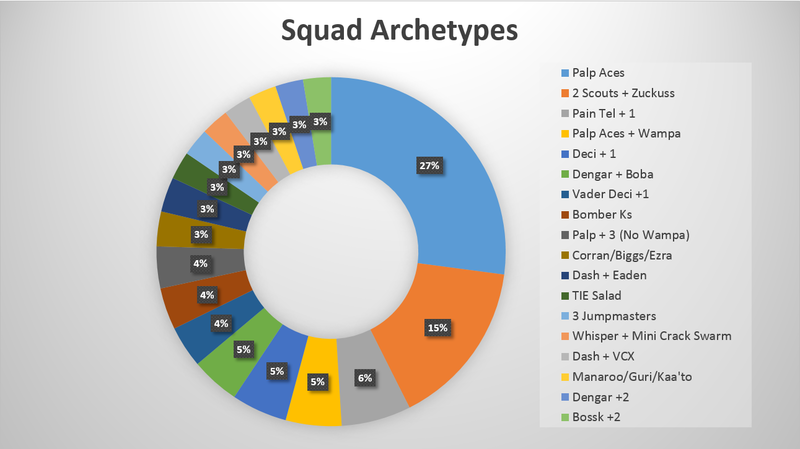 And now for something quasi-new, we’re trying out a new format for the Pilot Skill chart. 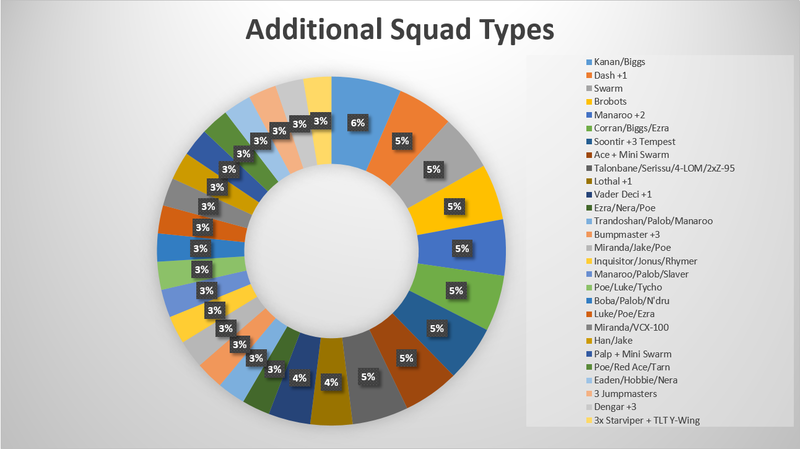 This should be a bit more useful for figuring out how many squads are going to be above or below you in the movement/shooting order. 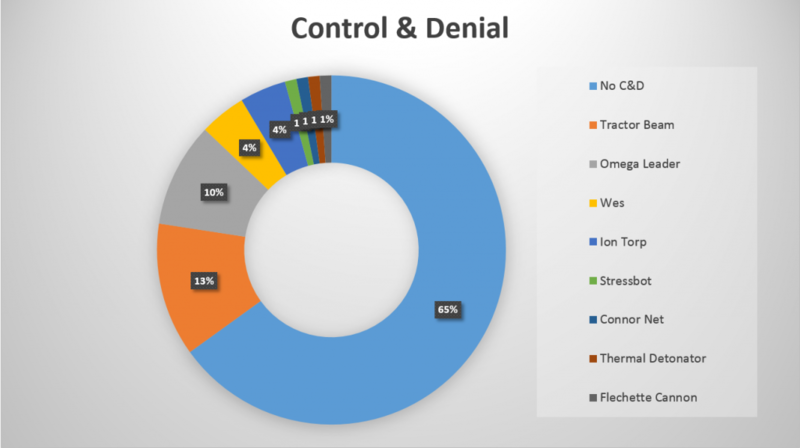 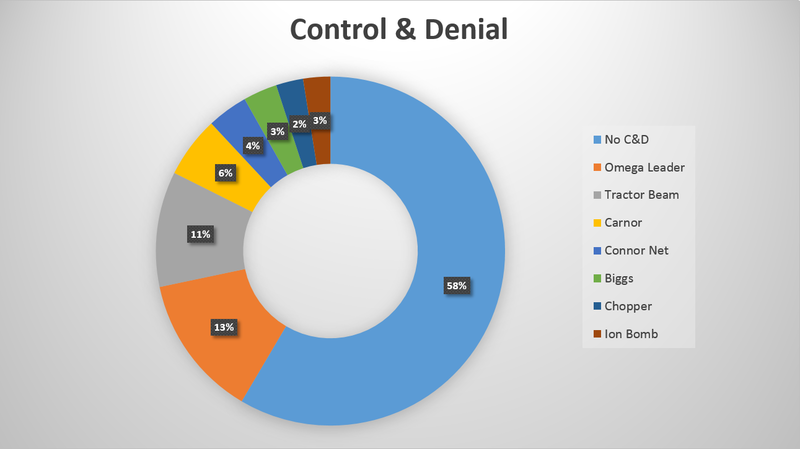 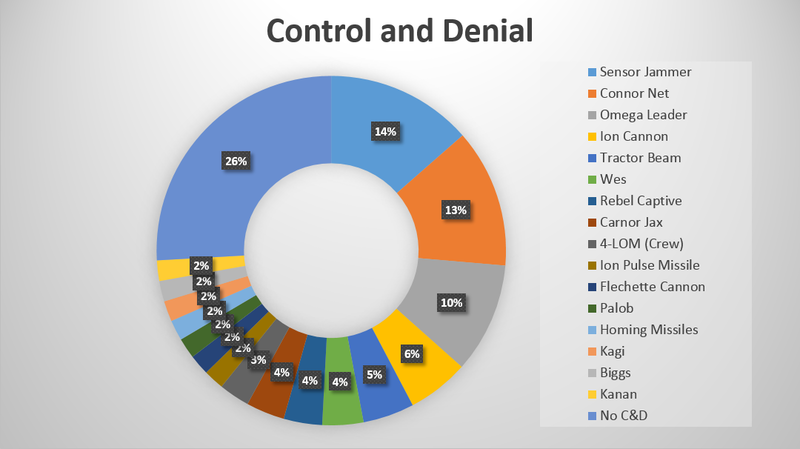 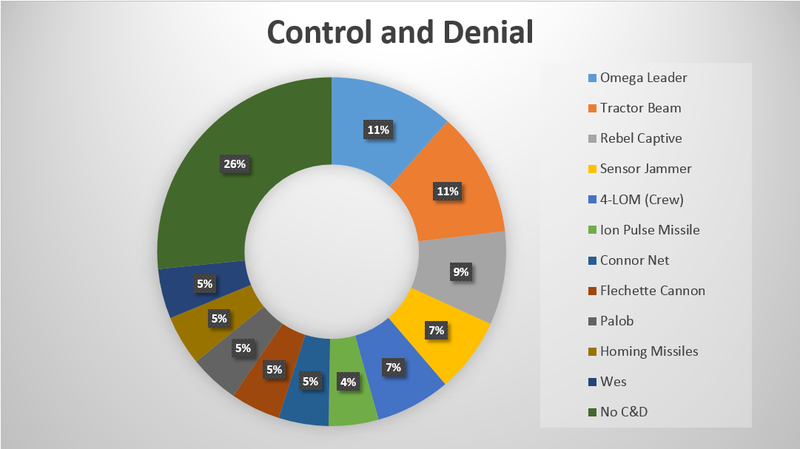 Finally, a slight change to the Control and Denial chart, Biggs is now being included. 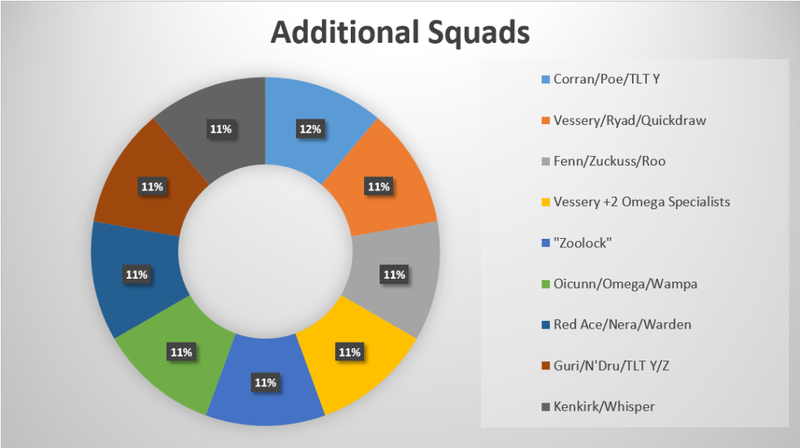 Welcome to the next installment of the NoVa meta analysis. 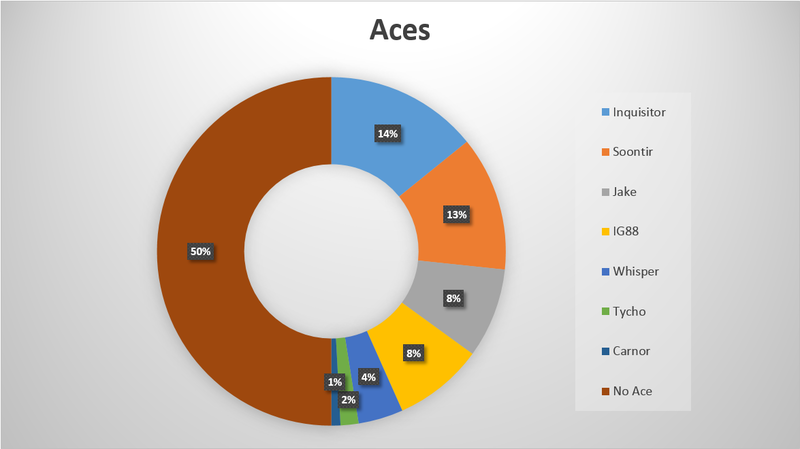 This analysis is based on 255 games played at 10 tournaments in 6 stores over the past 4 weeks. Additional information can be found on the FAQ. 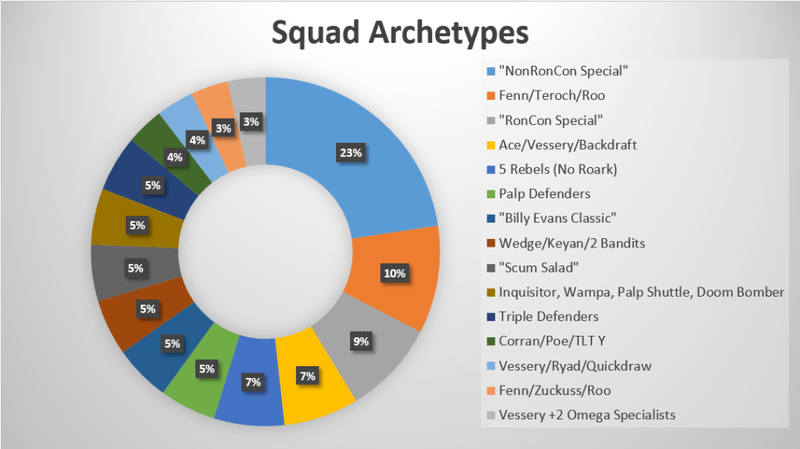 Click the images below for a larger version. Detailed squad lists can be found by combing List Juggler. This represents a significant shift from the previous edition. 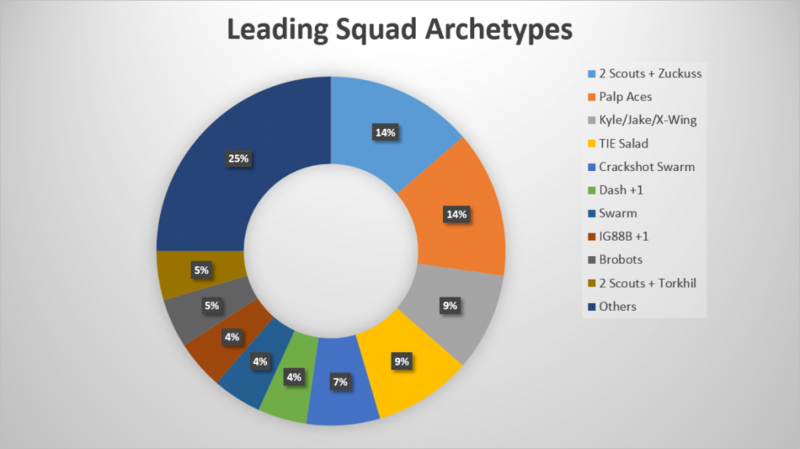 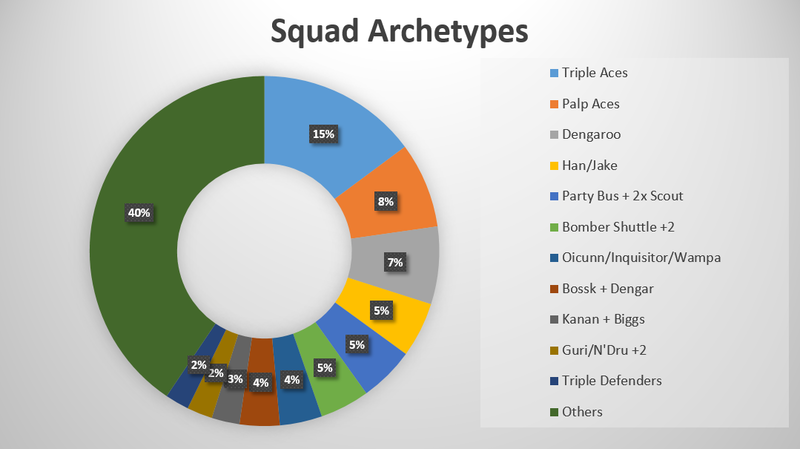 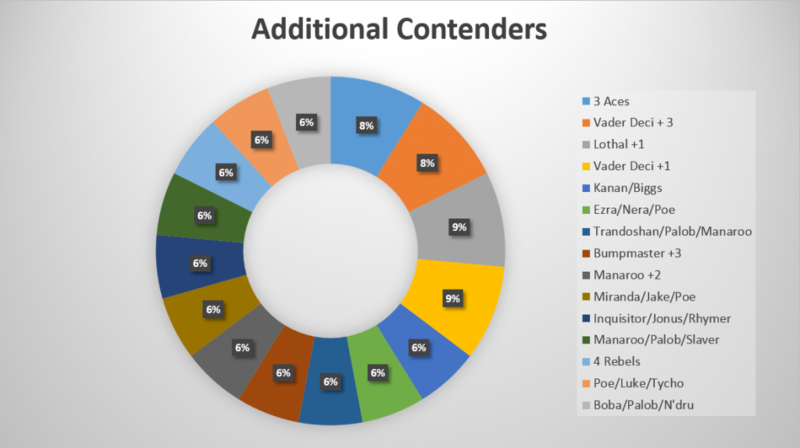 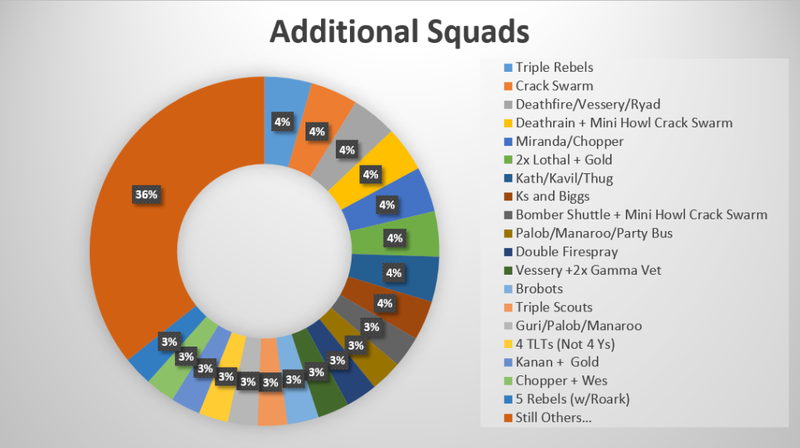 Before, only 25% of squads were in the “Others” category, while now more than a third are. You need to have a plan for Scouts+Zucks and Palp Aces, but winning tournaments also means beating a number of oddball squads and having a well-rounded build. 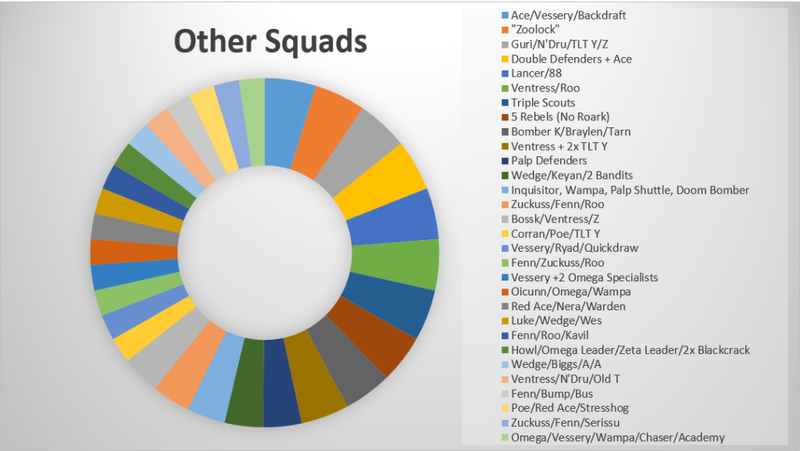 Here you can see that those “Others” comprise 28 different squads. 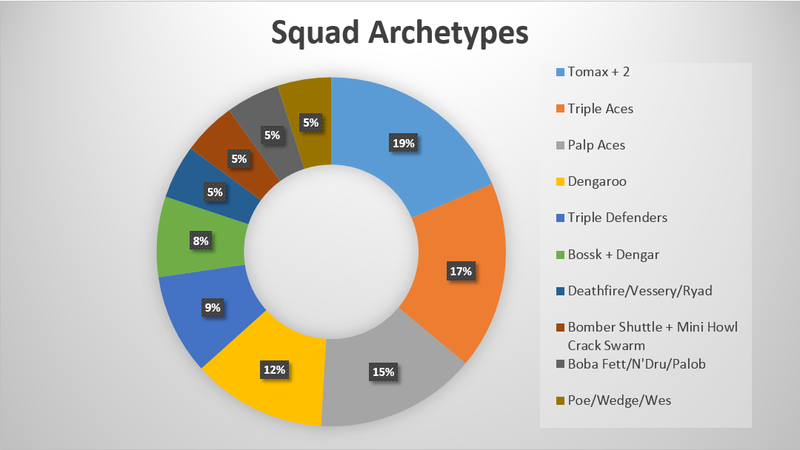 And remember, this isn’t just what’s flying. This is what’s winning. 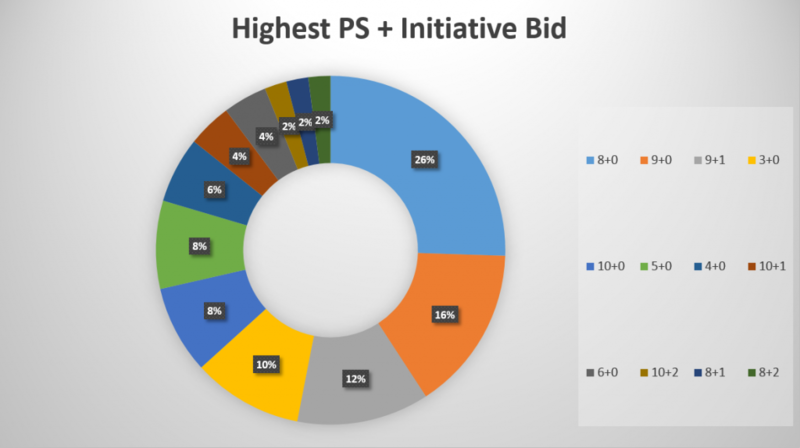 The dawn of Omega and the Inquisitor has made PS8 the new PS9, which means PS9 is the new PS10, and PS10 is the new Kyle+Jake combo. 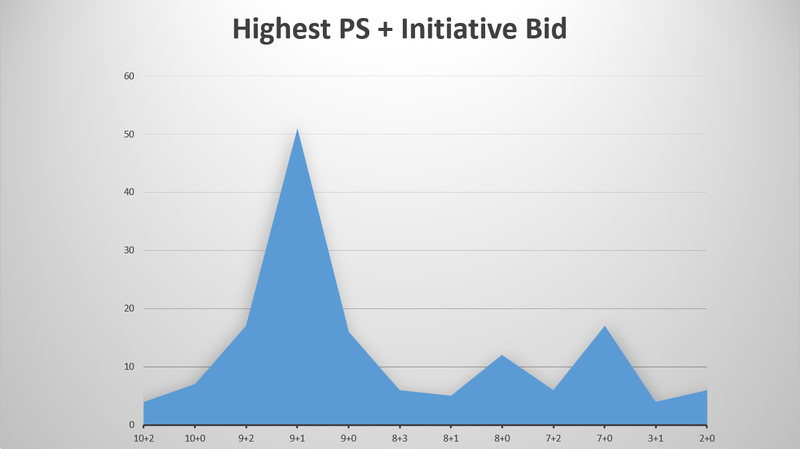 We’ve also now got the first inclusion of a PS bid that’s very near and dear to me, PS9 at 96 points. 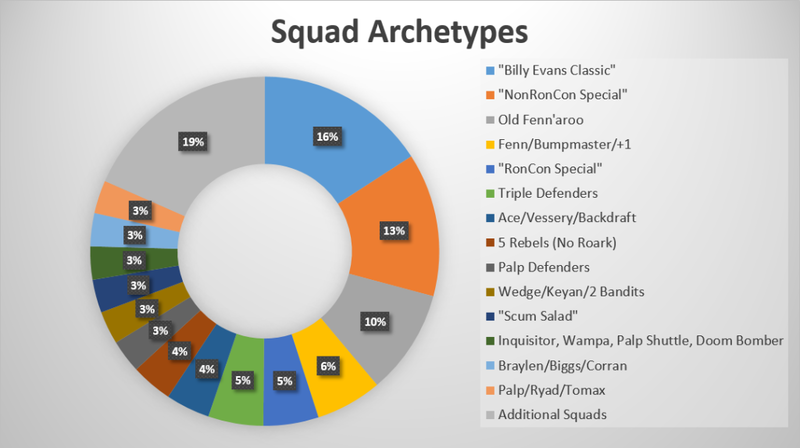 Finally, Control and Denial mechanics remain rare, holding steady around 2/3rds of squads. 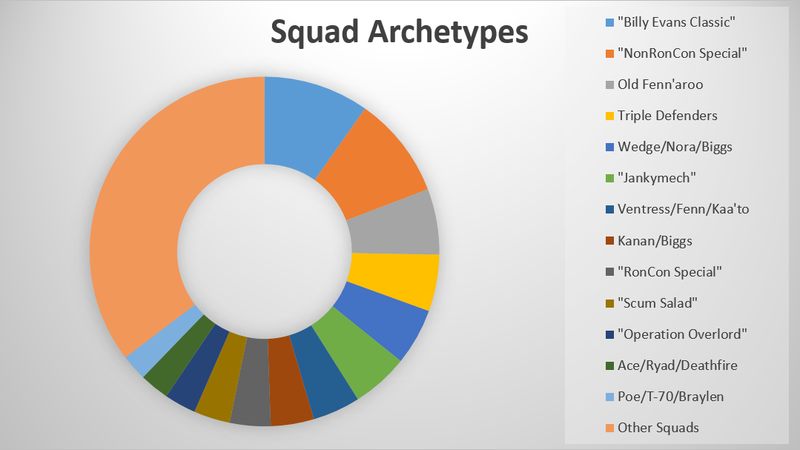 But, rare as they are, it still means you’ll be facing them in 1 out of 3 games, so be prepared to see 1 in a 3-round regular event, and 2 in 6 rounds at a premier event. 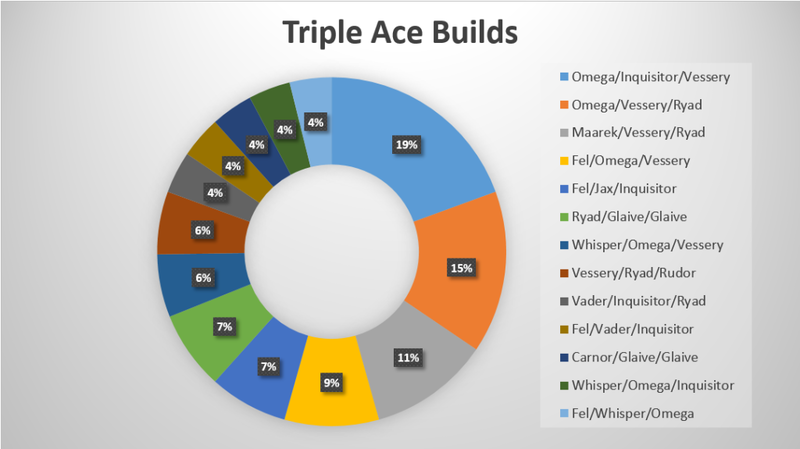 It’s no surprise that Tractor Beam is the most popular thing on this list, with Zuckuss and 2 Scouts dominating the meta.